When you buy a new Mercedes-Benz at Contemporary Motor Cars, you can protect your investment with Mercedes-Benz Extended Limited Warranty Coverage. By selecting a Mercedes-Benz extended warranty option, you can get comprehensive protection even after the original 4-year/50,000-mile New Vehicle Limited Warranty expires. When selecting a Mercedes-Benz extended warranty, you can choose from one-, two- or three-year options. No matter how many years you choose, you’ll then be able to select either 75,000, 100,000, or 125,000 miles for the warranty coverage. Our Mercedes-Benz dealership in Little Silver, NJ, wants to you to enjoy your Mercedes-Benz luxury car for many miles and years to come, which is why we work hard to pair you with the right extended warranty. 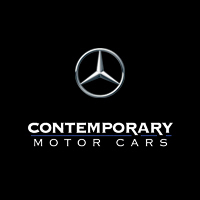 Contact Contemporary Motor Cars to schedule an appointment with a Mercedes-Benz sales or finance specialist to discuss your options. Whether you buy a new Mercedes-Benz C-Class Sedan or finance a new Mercedes-Benz GLC SUV, you’ll be able to find a Mercedes-Benz Extended Limited Warranty option that you love.